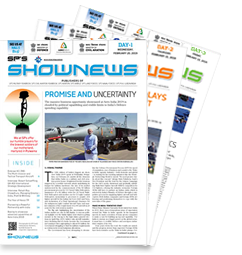 Ministry of Defence (MoD), on August 13, gave its nod to the proposal for acquisition of six Next Generation Offshore Patrol Vessels (NGOPVs) for the Indian Navy. 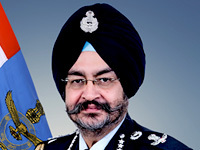 The decision was taken by the Defence Acquisition Council (DAC), apex procurement body of the MoD, in a meeting chaired by the Minister of Defence Nirmala Sitharaman. The new acquisition is expected to cost a sum of 4941 crore to the exchequers. "The NGOPVs will be built in indigenous shipyards and will be fitted with state-of-the-art sensor suite with increased endurance. These platforms will strengthen maritime security by undertaking a multitude of operational roles both in blue water and littorals," ministry said in a statement. "These include seaward defence, protection of offshore assets, maritime interdiction operations and search & seizure operations, surveillance missions, mine warfare, anti-piracy missions, counter infiltration operations, anti-poaching/trafficking operations, humanitarian assistance and disaster relief and search and rescue missions," it added. 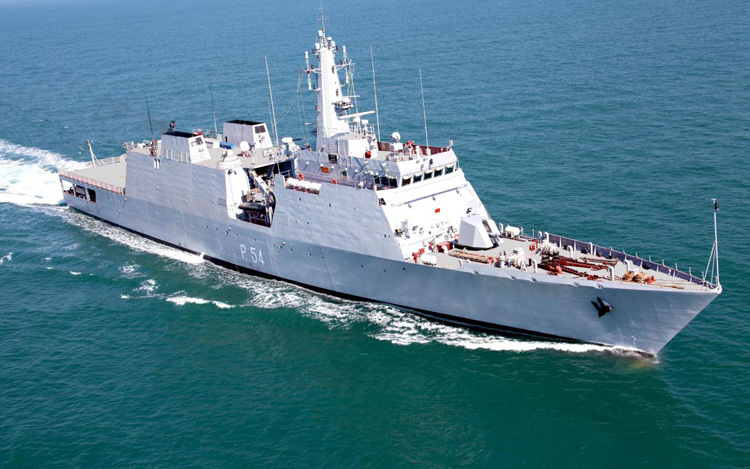 According to the Indian Navy's Request for Information (RFI) for the NGOPVs, the vessels will displace 2500 tons with draught of less than five meters and will be able to sail for 8500 nm at 14 kn (Economical Speed) with sea endurance of at least 60 days. NGOPV is also expected to store Light Weight Torpedoes for Naval choppers. It will accommodate approximately 20 officers (including four women officers) and 130 sailors. On the aviation facilities, the RFI demands day and night helicopter and Remote Piloted Aircraft (RPA) operating capability with deck strength for 15 ton (all-up weight) Helicopter along with Night Vision Goggles (NVG) compatible lighting and Landing Aid Suite. The vessel will also have the maintenance/ technical facilities for helicopter and RPA and refueling facilities. Armed with various kinds of electronic warfare suite, two very-short range air defence system (VSHORAD) and two AK 630 (Close in weapon system) as part of its anti-missile defence system. It will also carry anti-submarine sensors and other light and medium weapons systems. The vessel is expected to have stealth features to reduce radar cross section, infra-red and acoustic signatures. Some of the major shipyards capable of producing these ships are - Garden Reach Shipbuilders and Engineers (GRSE), the Kolkata based public sector shipyard last year produced vessels worth 927 crore and made a net profit of over 12 crore. Presently 19 warships of various kinds are under construction here. Goa Shipyard Limited (GSL), already delivered multiple OPVs to Coast Guards, in last financial year its production value was to the tune of 1055 crore and made tax after profit of over 117 crore. In private sector, L&T shipyard, one of the leading private sector shipyards of India, is currently executing a contract for constructing seven of the Vikram class OPVs for Indian Coast Guard. The first of the seven vessels was commissioned on April 11. Similarly, Reliance Defence and Engineering Ltd (RDEL), another major private sector shipyard with interest in naval ships, is executing a contract for constructing five OPVs under P-21 project of the Indian Navy.